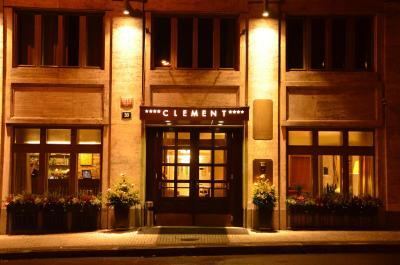 Lock in a great price for Hotel Clement - rated 8.8 by recent guests. The Breakfast buffet was excellent. The room was very clean and the staff very friendly. Super friendly staff!!!! Very helpful and always a smile 😊 breakfast was great too with a wide variety of yummy cakes and fresh mini croissants and delicious scrambled eggs. Area is quiet and close to the city center. Staff is welcoming, polite and friendly. Rather convinient location. 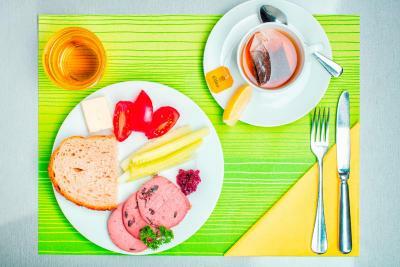 Very nice and varied breakfast! The hotel and the room is really cosy, the breakfast was really good, and the services were also excellent. 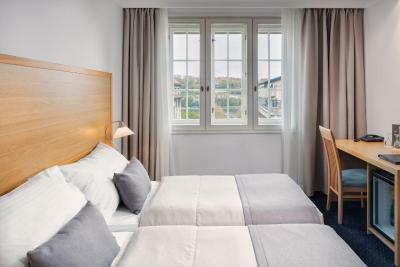 The room was elegant, very practical and comfortable, breakfast was quite good with plenty of choices, and all the staff were very professional and friendly. I wish to specially thank and congratulate Karin and Martin, the two trainees that were on duty at the reception the night I arrived at the hotel, for being so attentive and caring to my needs, going well beyond the call of duty. Great job, people! 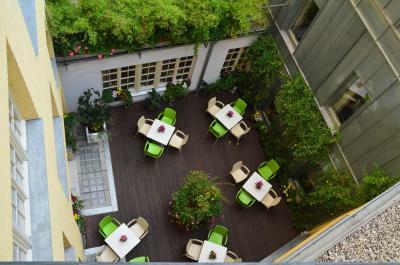 This was a super clean hotel in a super location in a quite area but close to the bussling old town area. 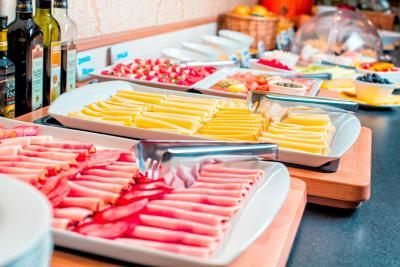 Breakfast was also very good with a wide variety of options to meet all needs. 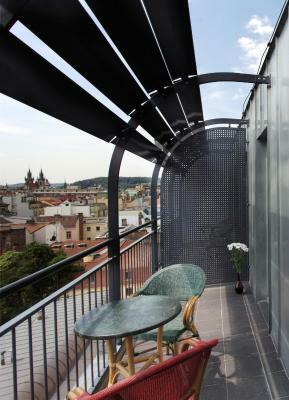 Clement Hotel is situated in Prague's historical centre, only a few steps away from the Vltava River and the Palladium shopping centre. Free Wi-Fi is available. 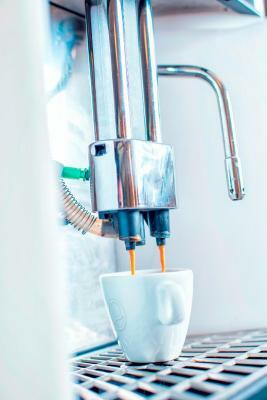 All rooms at Hotel Clement are air-conditioned and feature satellite TV, tea and coffee-making facilities, and a bathroom with hairdryer. 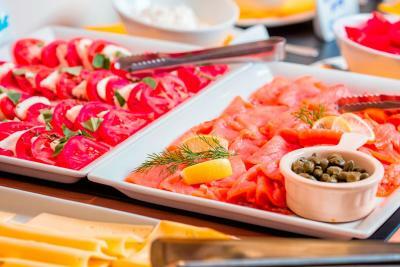 A rich breakfast buffet is served every morning at the Clement Hotel. Hotel Clement features a garage. 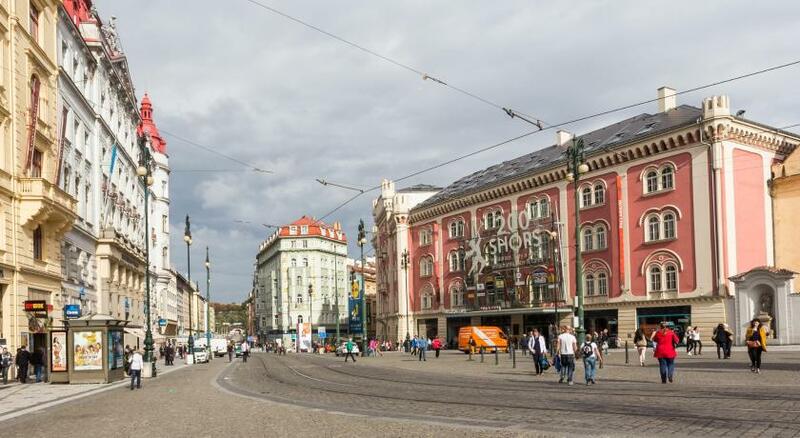 Old Town Square and Wenceslas Square can be reached in a short walk from Hotel Clement. Hotel Clement has been welcoming Booking.com guests since 20 Jul 2009. 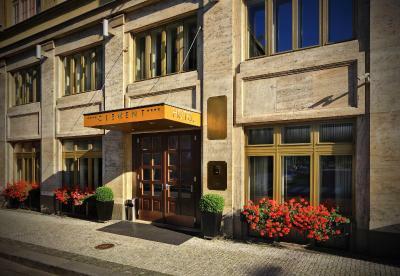 When would you like to stay at Hotel Clement? Tastefully decorated rooms with air conditioning, satellite TV, free Wi-Fi, safe, free coffee-tea-making facilities, minibar and bathrobes. 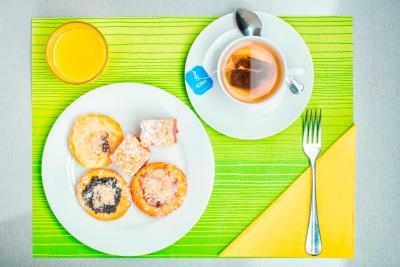 Tastefully decorated rooms with air conditioning, satellite TV, free Wi-Fi, safe, free coffee-tea-making facilities and a minibar. 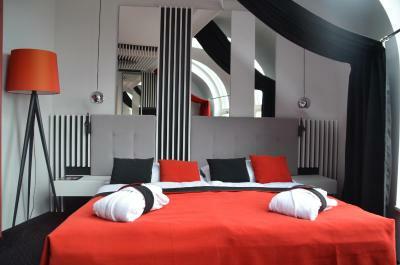 Decorated in red and black design, these rooms are located on the 8th floor. 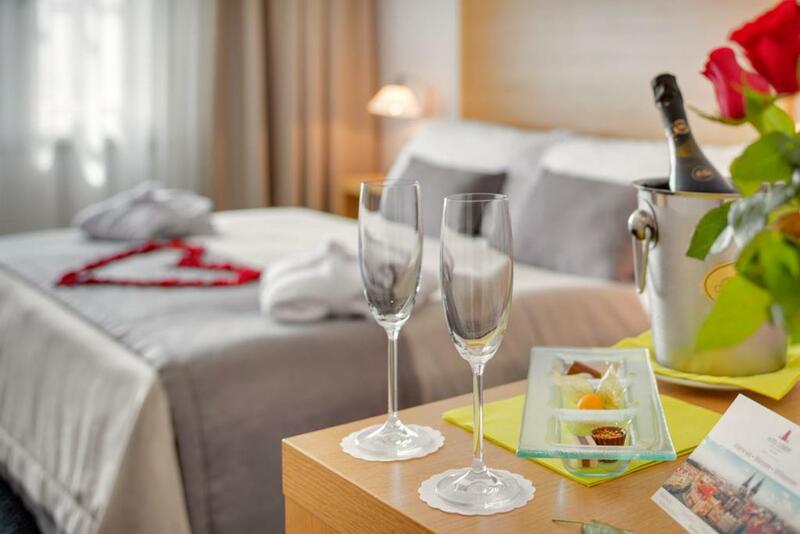 There is a Nespresso coffee machine and a complimentary bottle of water, as well as a bathroom with a bathtub or a shower corner, luxury cosmetics, bathrobes and slippers. Please note that extra beds or cots are not available in this room type. Children under 6 years and pets are not allowed in this room type. 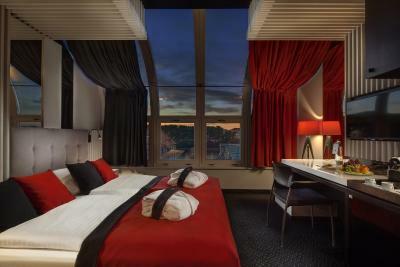 Decorated in red and black design, this unit is located on the top floor and features a balcony offering views of the city. 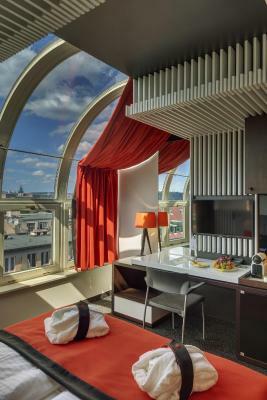 There is a Nespresso coffee machine and a complimentary bottle of water, as well as a bathroom with a bathtub or a shower corner, luxury cosmetics, bathrobes and slippers. 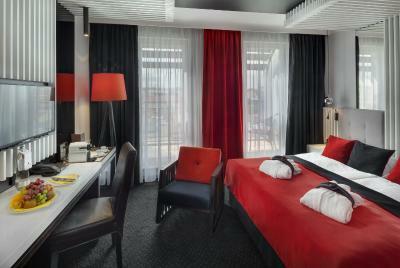 Decorated in red and black design, this unit is located on the top floor and features views of the city and the river. 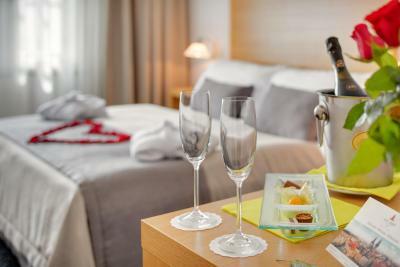 There is a Nespresso coffee machine and a complimentary bottle of water, as well as a bathroom with a bathtub or a shower corner, luxury cosmetics, bathrobes and slippers. 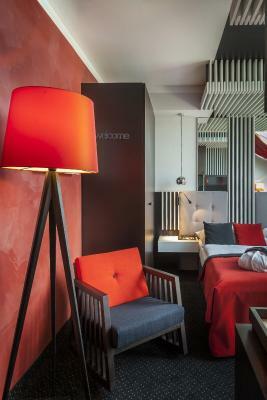 This spacious and modernly decorated suite features a minibar, a sofa bed and air conditioning. 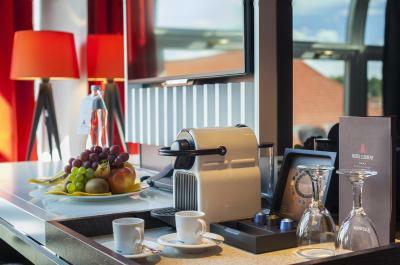 It offers a Nespresso coffee machine and a complimentary bottle of water. 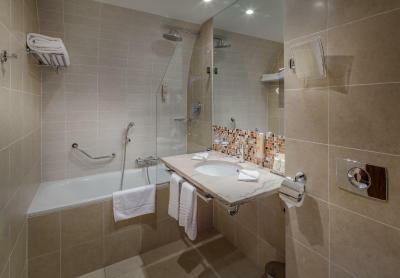 The bathroom features a bathtub and a shower and also luxury cosmetics, bathrobes and slippers are available to guests. Please note, pets are not allowed in this room type. 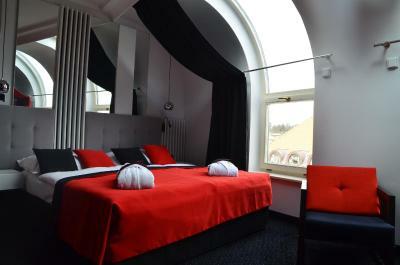 This twin/double room features a electric kettle, minibar and air conditioning. 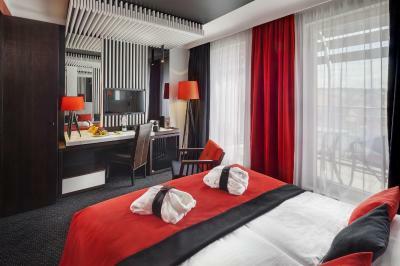 This twin/double room has a minibar, flat-screen TV and electric kettle. 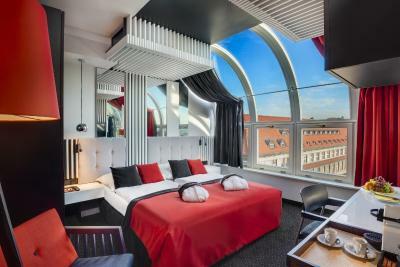 Hotel Clement Prague**** is located in the heart of Prague´s historic centre. 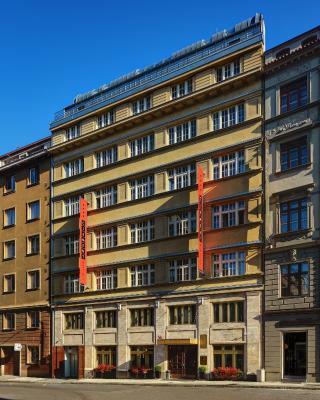 Hotel is only a few steps from the Vltava River and the Palladium shopping center and just a short distance from major historic sites located in Old Town Square and Wenceslas Square. 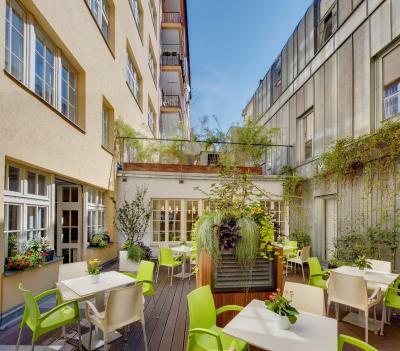 Hotel Clement Prague**** is the perfect choice for your business or leisure trips to the city, thanks to an excellent location comfortable facilities and the excellent service quality. A pleasant environment, peace and perfect service to our clients, this is the goal of our team. 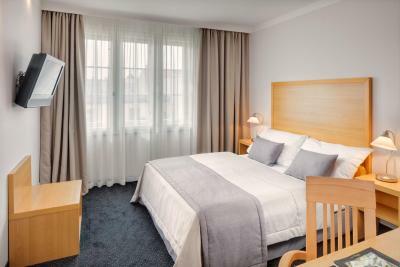 Hotel Clement Prague**** provides 76 elegantly furnished rooms, free Wi-Fi internet access in the public areas and rooms, lobby bar, spacious breakfast room, as well as 2 meeting rooms of different sizes. The entire interiors of the hotel are fully non-smoking. Smoking is only permitted on the terrace and designated public balcony. Hotel rooms are comfortably well equipped with king size bed or twin bed and one single is equipped with air-condition, satellite TV, radio, free Wi-Fi internet access, direct phone line, safe, free coffee & tea set, minibar and bathroom with bathtub or shower corner and hairdryer. 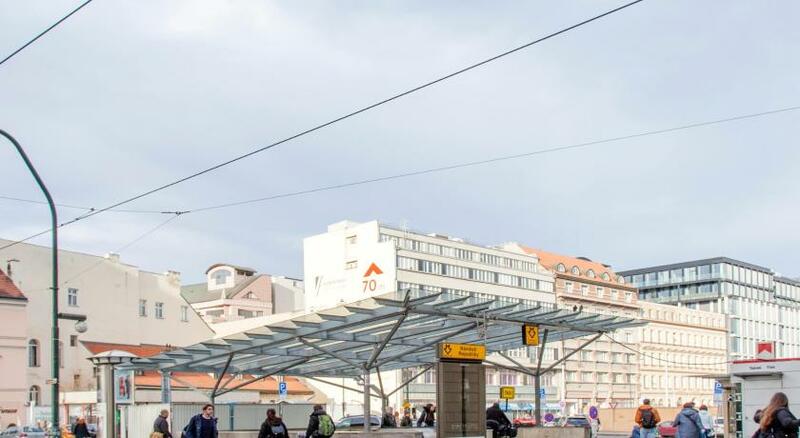 Hotel surroundings – This neighbourhood is a great choice for travellers interested in history, architecture and atmosphere – Check location Great location - show map Guests loved walking around the neighbourhood! House rules Hotel Clement takes special requests - add in the next step! Hotel Clement accepts these cards and reserves the right to temporarily hold an amount prior to arrival. There is nothing to complain! The bed was pretty small for me, as I am tall. Pillows are oversized and uncomfortable. 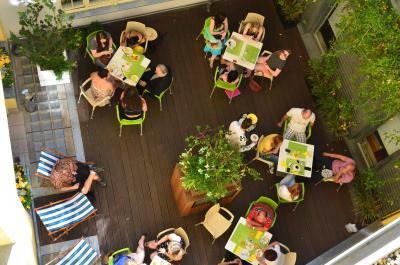 Parking is advertised as available, but you should check beforehand, as the hotel only has 3 parking spaces at a pretty hefty sum of 27 euros per day. Fortunately, there is a parking lot nearby. 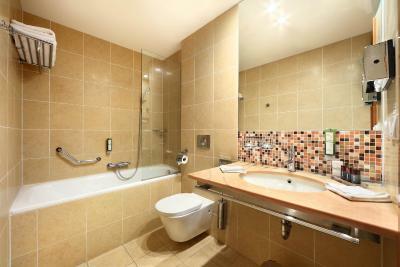 The basic room type was a little smaller but the bathroom was very spacious and very nice! 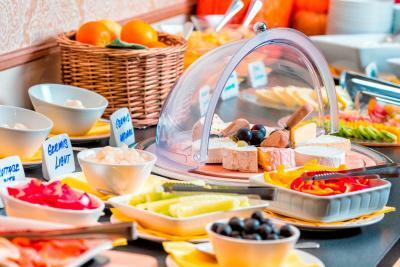 Just some really minor details:for example it would be nice to have small rubbish bins on every table for the breakfast to make it even more convenient for the guests and employees as well. Lifts took a long time to arrive sometimes, and one of them was very small. 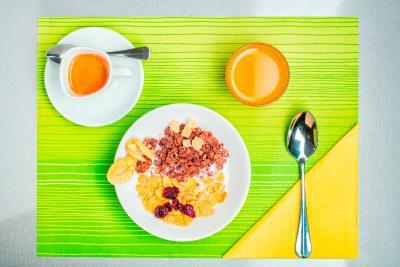 Friendly staff, comfy bed and good selection at breakfast. A very pleasant stay! 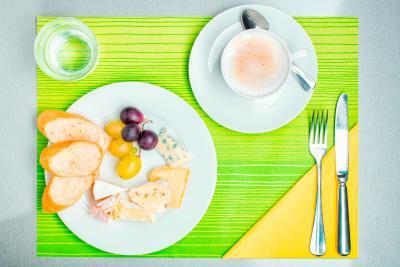 Rich and yummy breakfast, the position was fantastic to reach all the places of interest in the city! Stiff beds, very hot and dry inside the rooms. A/C automatically started in the middle of the night making for chilly nights... We were also disappointed we had booked a car parking space and the hotel contacted us one day before arrival to say it was full :( ...but in the end the car park in the shopping mall next door was fine! It is just a very minor and negligible point, and I really enjoyed my stay, but here it is, please take it only as a mild suggestion for improvement. Since the bottom part of the closet is occupied by the safe, I had no place to properly hang my coat. This could be solved by adding a wall hanger in the room. Everything! 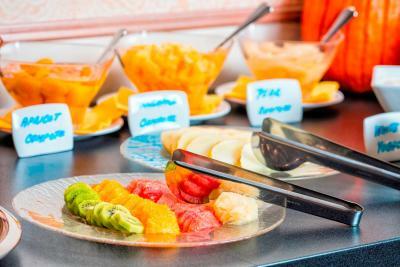 Super comfortable, 5-star buffet breakfast, friendly staff, and perfect location near the Old Town. 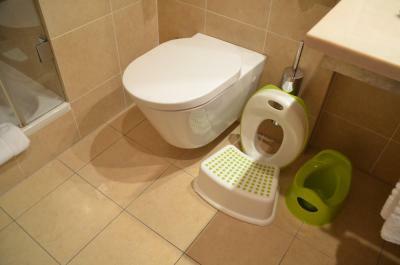 Quiet, comfortable and clean!